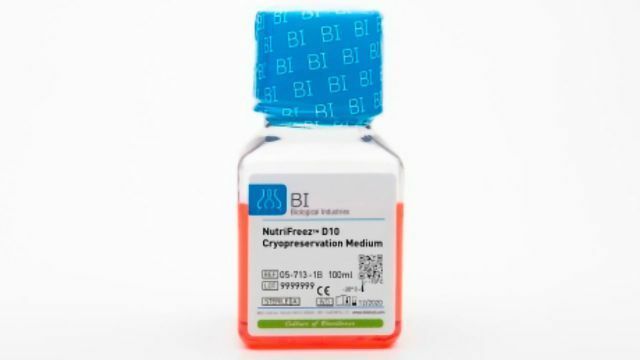 NutriFreez™ D10 Cryopreservation Medium is an optimized freezing solution designed and validated for the cryopreservation of various tissue and cell types, including but not limited to sensitive cell types such as hESCs, iPSCs, and MSCs. NutriFreez™ D10 Medium maintains defined and animal component-free conditions during cryopreservation, essential to maintaining consistency when culturing cells in a xeno-free system. NutriFreez™ D10 Medium is ready-to-use and pre-formulated with DMSO, providing a protective environment for cells during the freezing, storage, and thawing process. Cells preserved with NutriFreez™ D10 Medium show excellent attachment and maintain proper pluripotency marker expression after thawing, with superior results compared to both serum-containing freezing media, other serum-free solutions, and homebrew formulations. Why use NutriFreez™ D10 Cryopreservation Medium? • Protective. Formulation designed to minimize dehydration effects. • Efficient. Effective maintenance of cell viability, adhesion, and bioactivity. • High-quality. cGMP-manufactured and a DMF is currently in process. • Ready-to-use. Complete solution with simple protocols. • Universal. Supports a variety of tissue and cell types including sensitive cells types (hESC, iPSC, MSCs, T cells, Vero and animal cells). 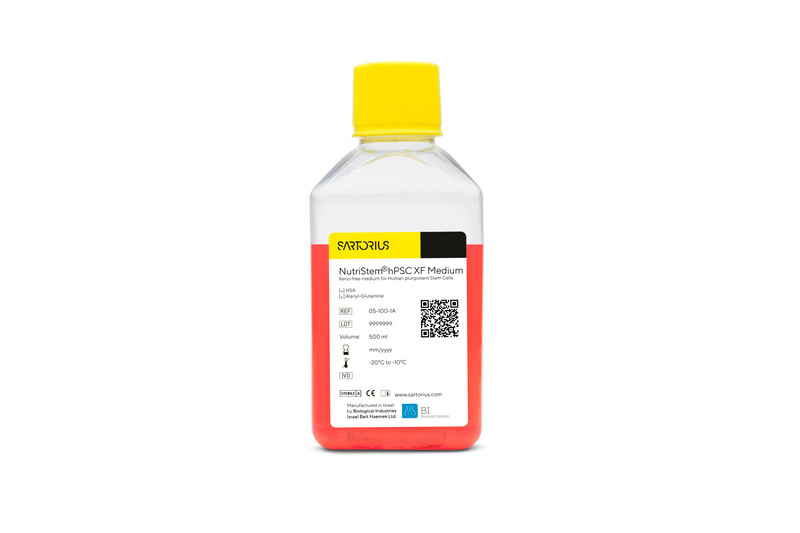 A defined, xeno-free, serum-free medium designed to support the growth and expansion of human pluripotent stem cells in a feeder-free environment. 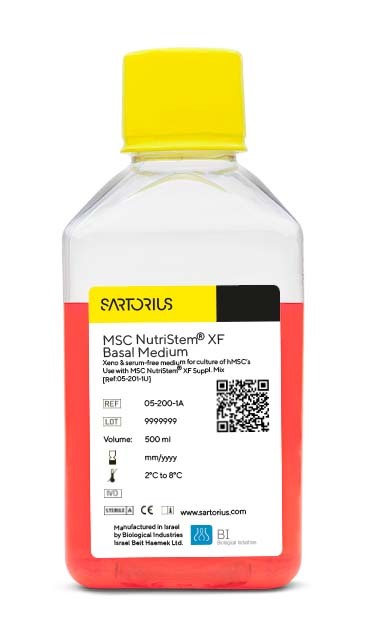 A defined, serum-free, xeno-free culture medium designed for optimal growth and expansion of human mesenchymal stem cells (hMSC). 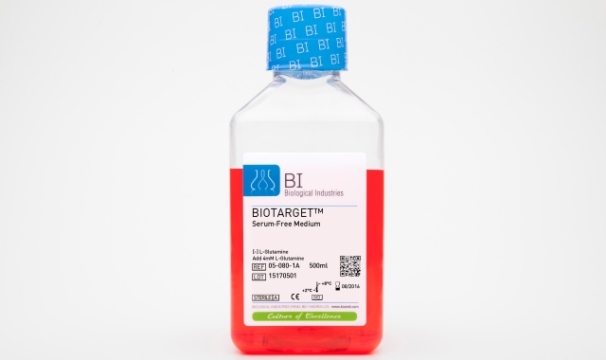 Serum-free, xeno-free medium, optimized specifically for activation and expansion of T cells and other PBMC. Available in many customized packaging configurations.